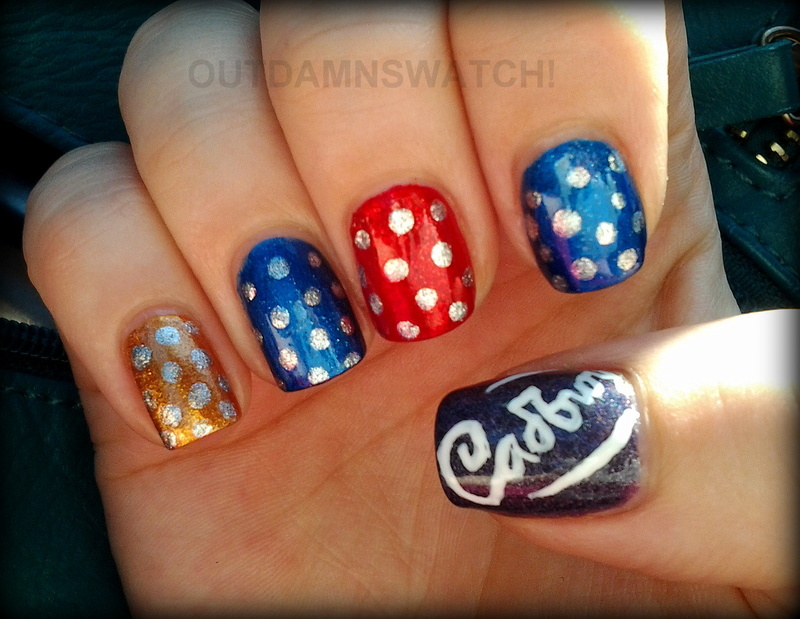 Cadbury Caramello Cuties | Out Damn Swatch! So, Easter nails. There are a lot about at the moment, and most seem to have some kind of spring theme. That’s understandable for the Northern Hemisphere where Easter comes from, with new growth, the return of the sun, and associated historical fertility rituals and what-have-you. Down here though, it is of course Autumn; we shouldn’t really be having any rebirth type celebration at this time of year at all. So in light of this, but still wanting to jump on some kind of bandwagon, I decided to go with a theme of delicious chocolate. 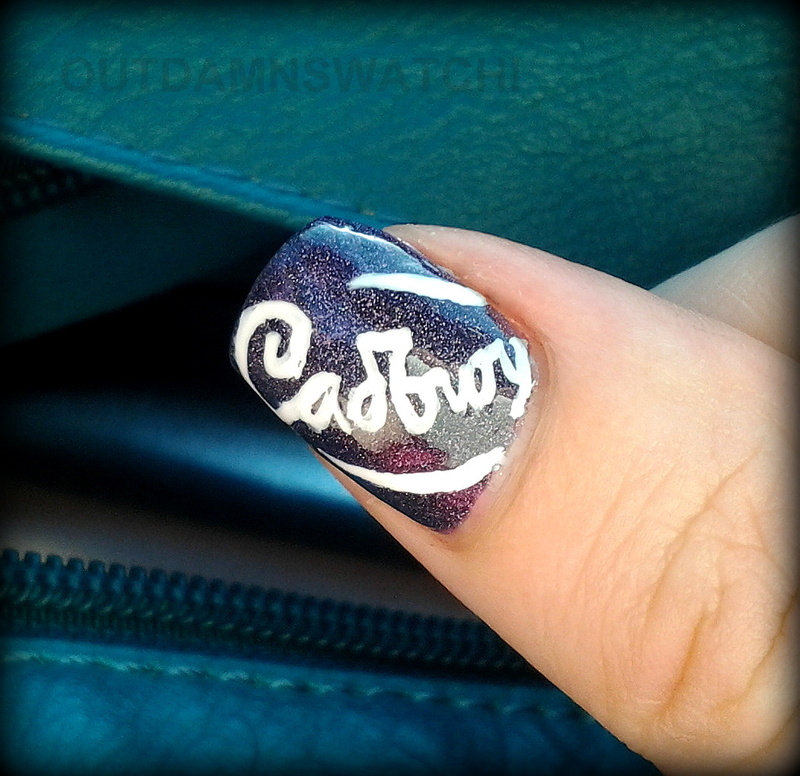 My favourite Easter eggs are Cadbury Caramello Cuties, small chocolate eggs filled with caramel. Can’t go wrong with chocolate. Unless you’re allergic to it. And that would be a tragedy. 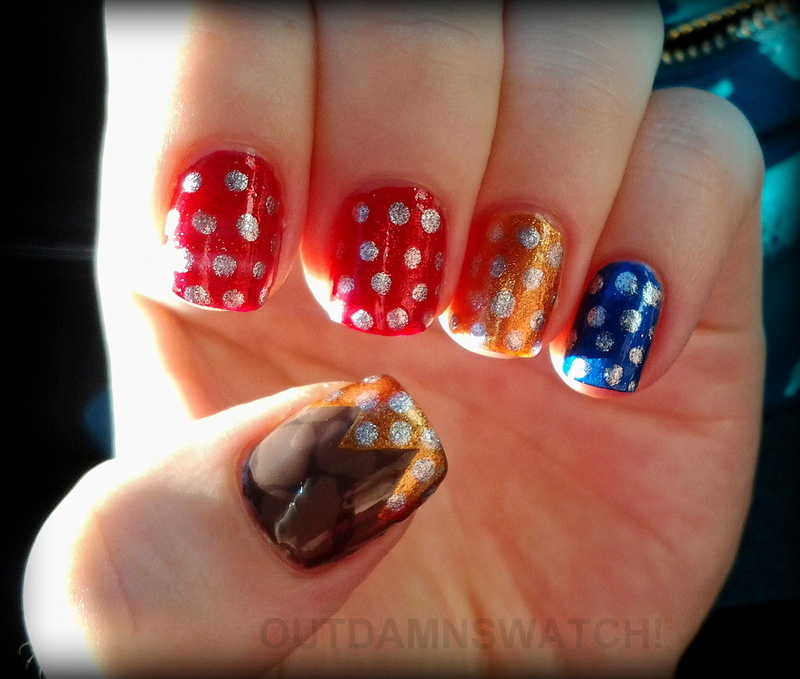 The base polishes I used were: China Glaze Eyes Like Sapphires (sapphire blue with a silver shimmer), OPI Dear Santa (festive red with small red and gold glitter), OPI Rising Star (a bright, coppery metallic gold), a-England Lady of the Lake (medium purple with scattered holo). For the egg wrapper dots I used Kleancolor Pearl Silver (a slightly blackened metallic silver), and for the ‘Cadbury’ text Orly White Out. 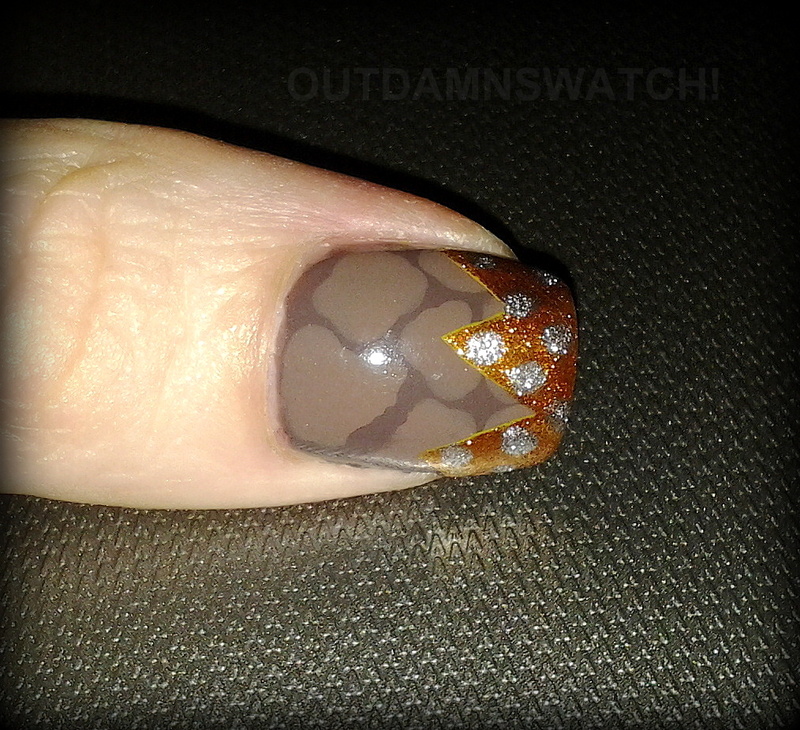 The chocolate shell of the partially unwrapped egg is China Glaze Foie Gras (a dark purpled brown) and OPI Over The Taupe (a dusty, greyed milk chocolate). Everything was finished up with two coats of Poshe top coat.